I hope you’ve all now finished digesting your Christmas dinners and lunches and post-Christmas leftovers – I know I have, and now the shame kicks in. But just until I start my diet (yeah, right), here’s another party recipe that is a 100% winner, no doubt. Ironically, I learnt this recipe from the maths teacher who got me out of high school (really). I mean, if it wasn’t for her, I probably would be worse off, but thanks to her brilliance (and patience), I managed to achieve a beautiful 60% on my final exam. 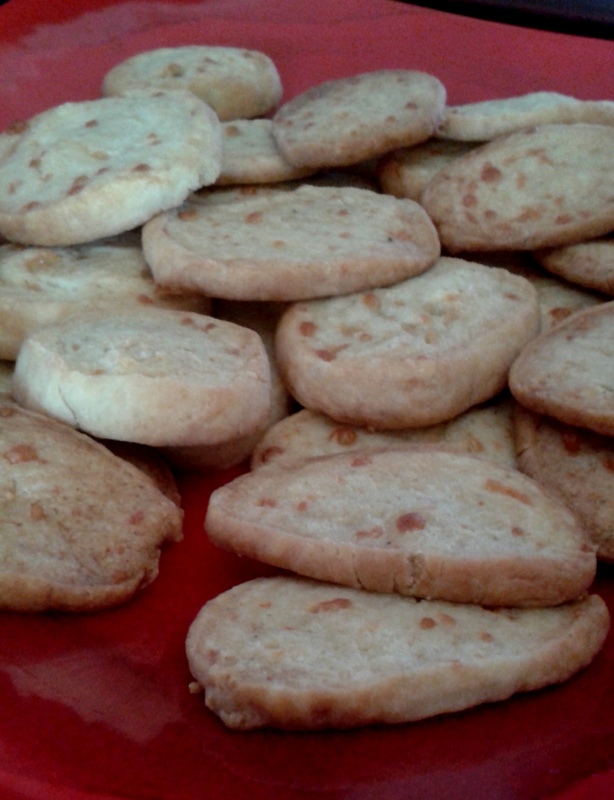 Anyway, on one of our last lessons, she offered me a biscuit, and it was so good I had to have the recipe. So to start off with, mix the flour and butter together until they’re completely mixed. It will look like sand or bread crumbs. Once that’s done, add your wet ingredients (egg, milk) and mix – finally, crumble in the cheese. Mix this together until you have a dough that’s come together. The best thing now is to chill for half an hour. I accidentally left it in the fridge for 2 hours. Woops. Not that it’s bad for it, it’s just that it will need more time to warm up again so that you can work it. But thanks to my forgetfulness, I actually got to experiment with the dough. I cut it into two pieces – I put one aside to warm up. The other one, if you need quick results, is best to bash with a rolling pin (for stress relief and also to soften the dough). So the first batch, I did like I always used to do. Roll the dough into a long, sausage-like shape – it’s best not to make it too thick to get smaller sized biscuits. 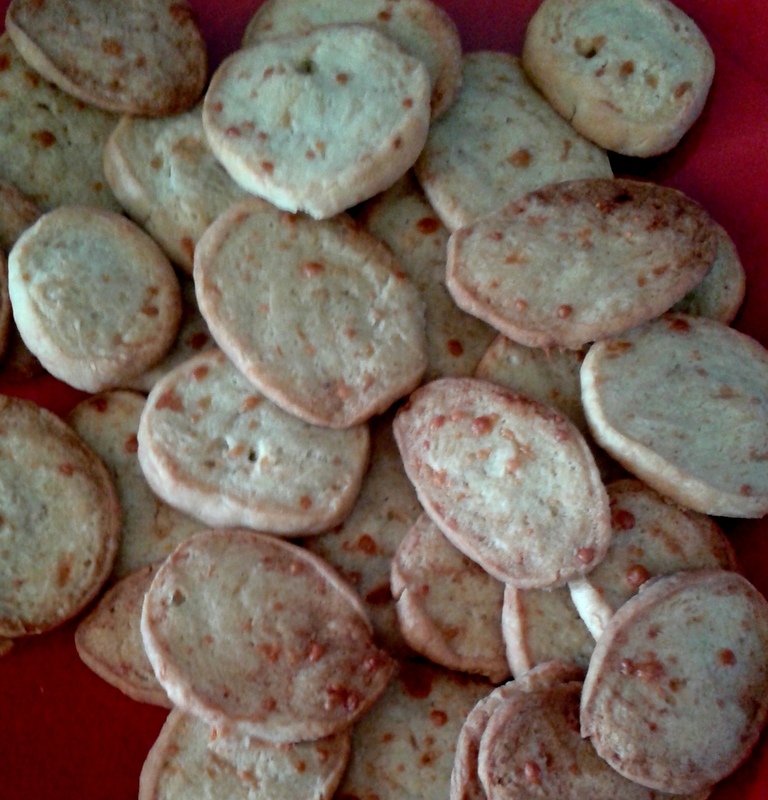 Then slice the long sausage into little circles (these are your biscuits). The reason this is never pretty is that no matter how sharp your knife, the slices will still look more like squares than circles. Anyway, line a baking sheet with baking paper, pile your biscuits and bake them until golden brown (about 15-20 minutes). Oh and… Happy new year! 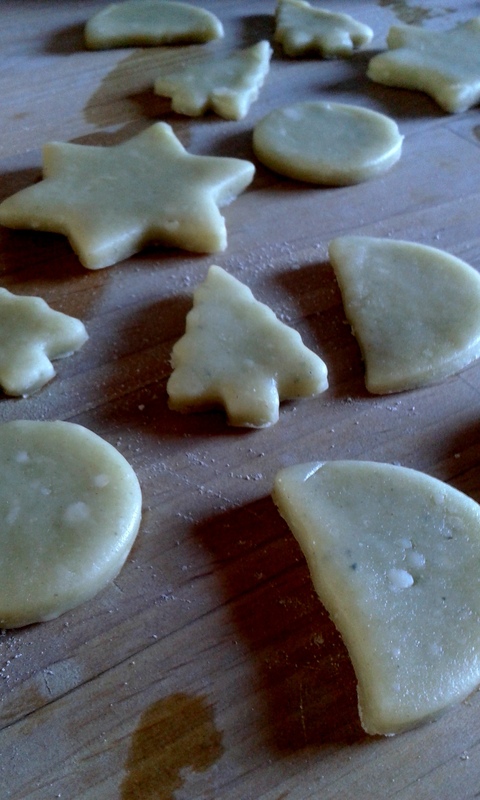 This entry was posted in Blog, Snacks and tagged baking, biscuit, cheese, Christmas, cooking, delicious, dinner, dough, easy, food, ingredient, meal, quick, recipe, snack. Bookmark the permalink.